With an attractive black design and an extra large observation window, the mini black is quite the looker. It's matte black surface means that finger prints stay unseen leaving it looking good all-day long. 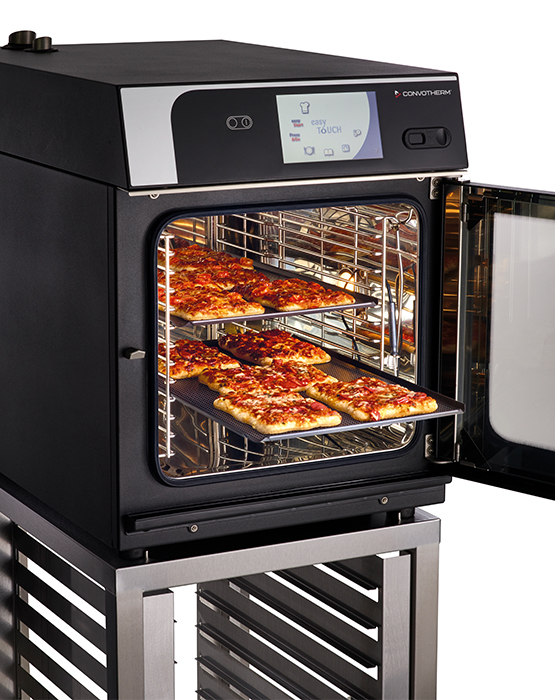 Whether you are roasting, grilling, steaming, regenerating, au gratin cooking, or convenience deep-frying: The mini black is a true all-rounder designed to significantly broaden your gastronomic range. Incredibly small, only 51.5 cm, versatile, and powerful: Ideal for convenience stores, bakeries, supermarkets, cafés, and coffee shops where space really counts. Breakfast, lunch, snacks 24/7 – the mini black can handle anything, and can be used to prepare a variety of dishes simultaneously. For more information about the mini black click here. 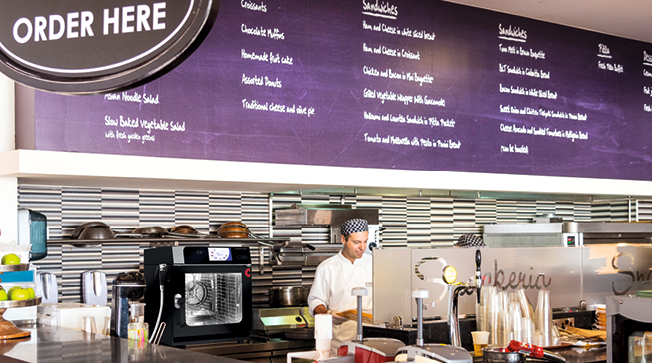 Absolutely perfect for your gastronomic endeavors. 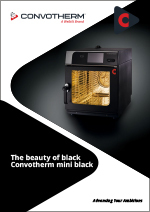 Convotherm mini black combi ovens shine anywhere where versatility, speed, ease of use, and reliability are needed.